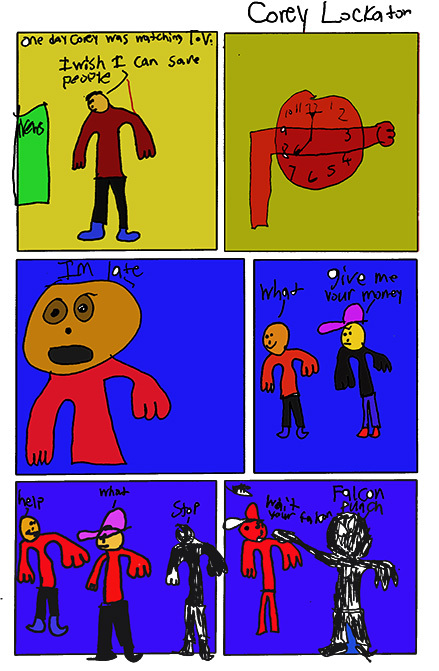 Corey created this comic strip in my Comic Book Creation Class at the Atascadero Community Center. He penciled the art and inked it. It was then scanned on the computer and he colored it in Photoshop.